From this Sunday, a candle will burn for seven days in our churches, alongside the following prayer for all visitors to pray. 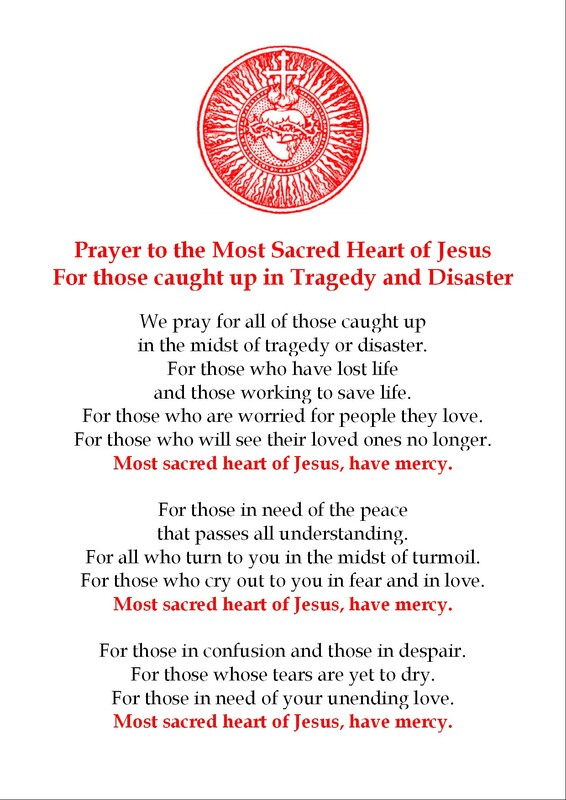 In these difficult times for our country, we ask that you too might frequently offer to the Most Sacred Heart of Jesus this prayer for those caught up in tragedy and disaster. There are prayer cards at the back of our churches if you would like to take one home.